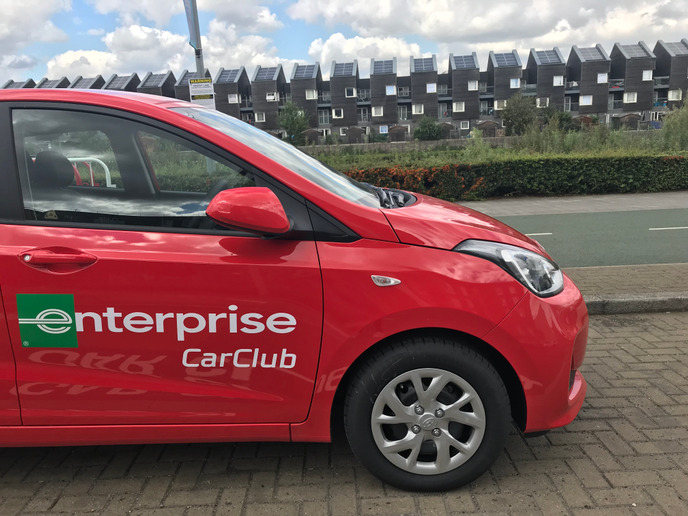 The new Enterprise Car Club vehicles are being used by the Christie At Home team, a group of eight nurses who work in shifts to visit cancer patients in the local community and therefore travel very frequently by car. The Manchester-based Christie NHS Foundation Trust, a world-leading hospital and expert in cancer care, research, and education, has taken four new Toyota Yaris hybrids as dedicated hourly rental vehicles from Enterprise Car Club. The new Enterprise Car Club vehicles are being used by the Christie At Home team, a group of eight nurses who work in shifts to visit cancer patients in the local community and therefore travel very frequently by car. Previously, they used their own cars for business trips and claimed ‘grey fleet’ mileage reimbursement. As part of ongoing measures to ensure the utmost efficiency and sustainability, the Christie Trust worked with Enterprise to analyze employee journey patterns and usage to establish if rental could offer a better solution. It formed a key part of the Trust’s green travel plan to reduce the need for cars to be brought on-site and lower the emissions for business travel mileage. The four car club vehicles have been taken on a pilot basis, with plans to expand the fleet to cover other staff at The Christie in the future. This initial program has already enabled the Christie At Home team to halve the number of cars it uses and parks on-site.